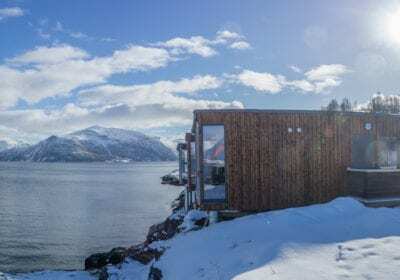 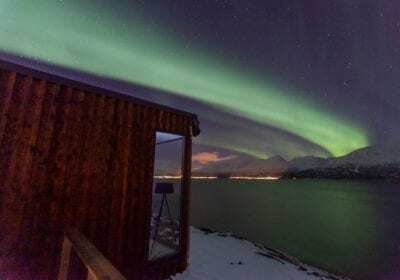 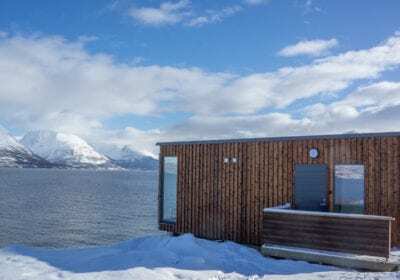 Far way from light pollution and with an incredible view out the fjord, these mini cabins are the perfect place for couples that crave tranquillity ! 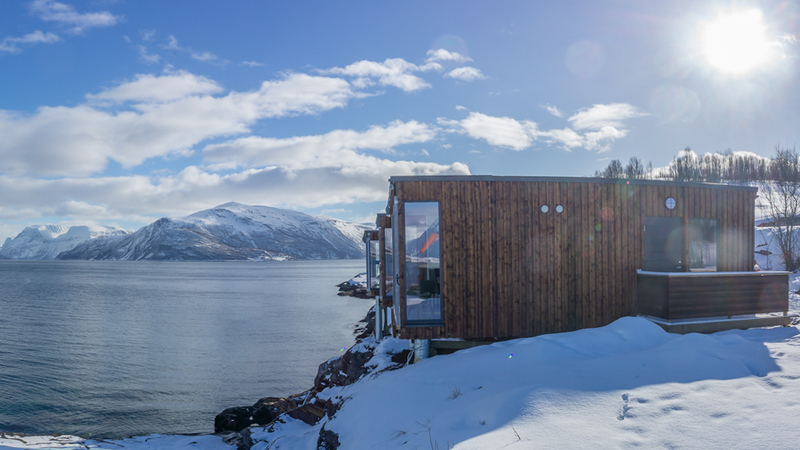 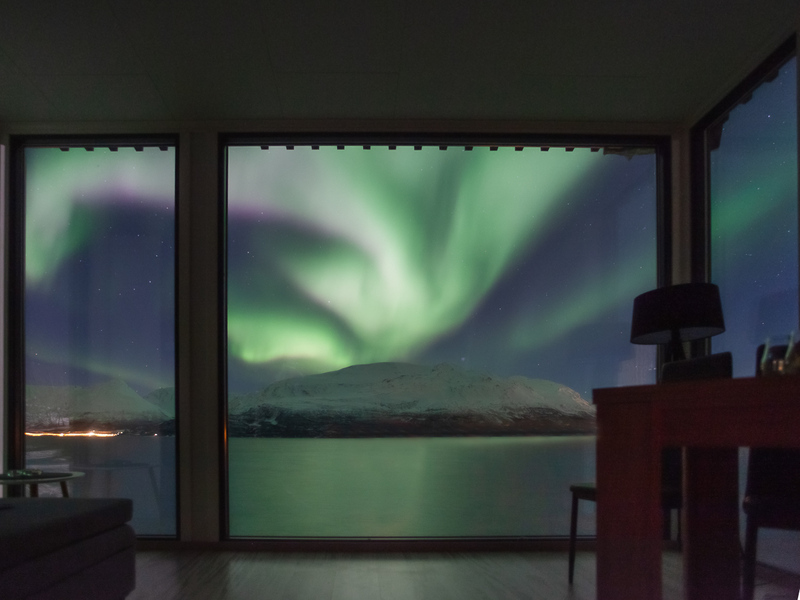 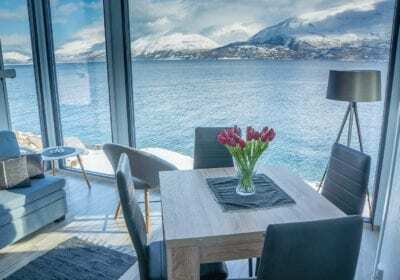 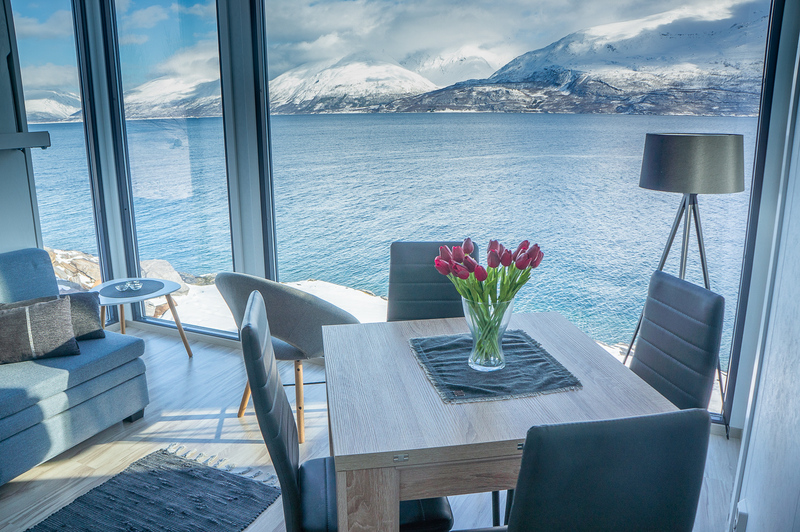 All of the cabins are fjord facing with panorama floor to ceiling windows, meaning you go to bed and wake up with an incredible view every day. 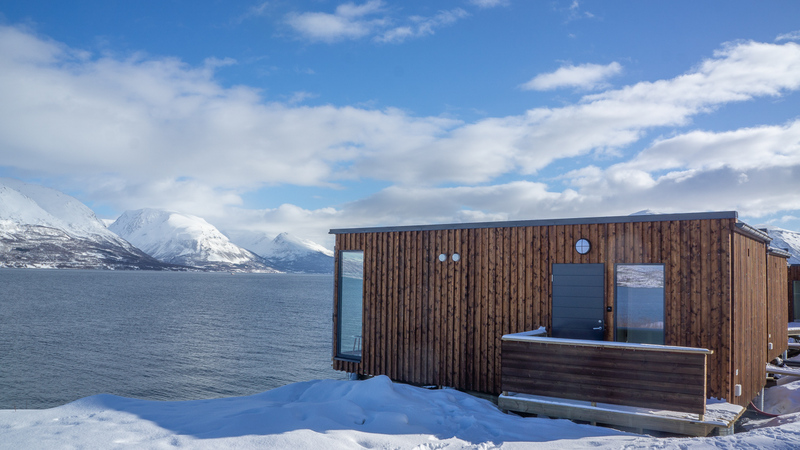 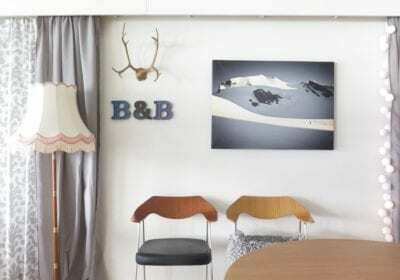 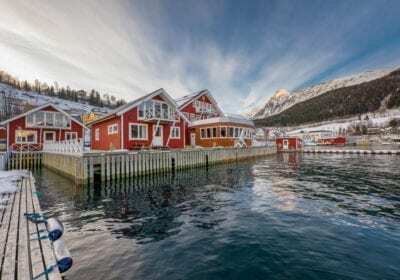 Experiencing the north-Norwegian elements and weather from the comfort of a warm and cosy cabin. 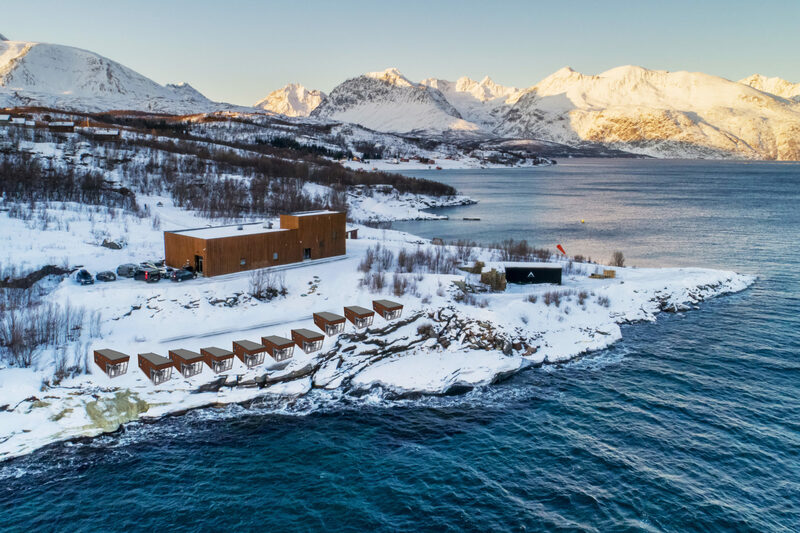 Within walking distance is the Worlds northern most distillery; Aurora Spirit and instant access to nature and hiking trails. 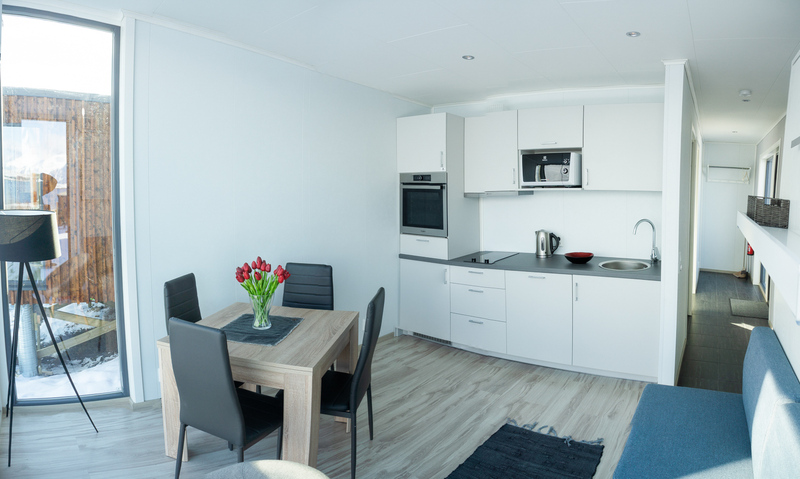 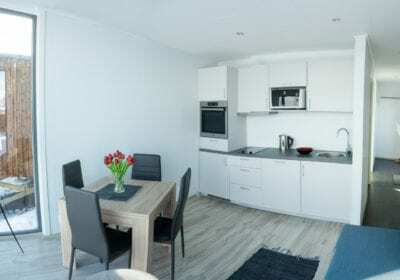 We do recommend that you have your own rental car or transportation in order for this accommodation option.